America's leading field service management solution for owners and managers with 1-50 staff. We just need to grab some basic information to help us personalise Fergus for you. 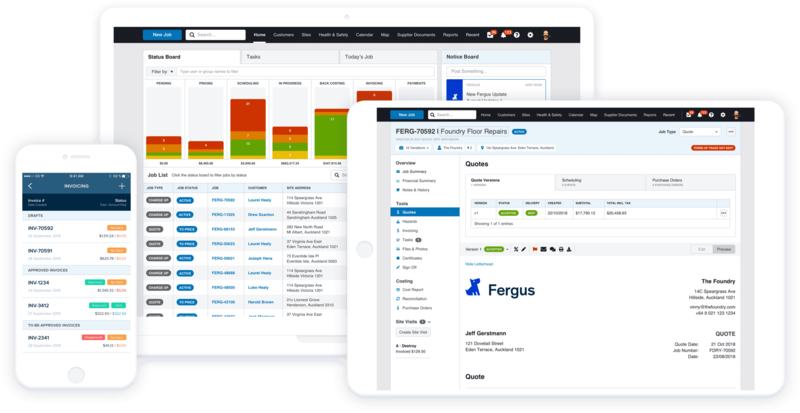 Fergus helps field service businesses around the world manage the costs of running a trades business, keep jobs on track and find profitability. Easily manage hundreds of jobs at a time and set them up to make a profit. Give your team access to all the information they need, when they need it. Use insights to pick jobs that will turn a profit and build your business. 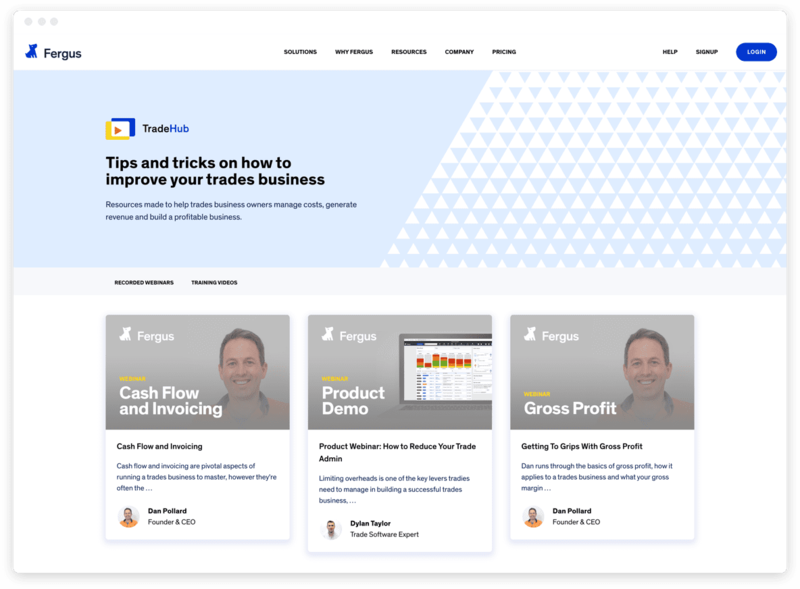 Business tips from tradies who've been there before on how to build revenue, reduce costs and grow your margins. See the range of trade materials suppliers we integrate and work with.